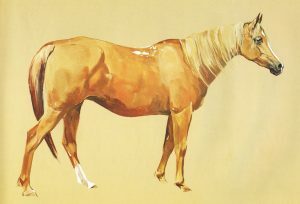 Respected American breeder Jim Robbins shares his thoughts on breeding, using his own stallion LC Athens as an example. “Bloodlines tell, and they do.” Arguably the most profound statement in Arabian horse breeding decades ago and just as relevant today. I give credit for this to Lois Selby Perry, Roger Selby’s daughter and an exceptional student of the breed in her own right. I realise if I’m off-base, there will be someone who’s more than happy to correct me on this and then the source of this quote will be put to bed! 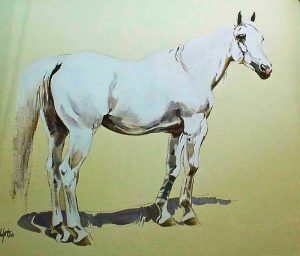 Horses as diverse as *Morafic (Nazeer x Mabrouka), *Bandos (Negatiw x Bandola), Galero (Zancudo x Zalema), *Muscat (Salon x Malpia), Khemosabi (Amerigo x Jurneeka), *Serafix (Raktha x Serafina) and Magnum Psyche (Padrons Psyche x A Fancy Miracle) carry from dozens to hundreds of crosses to the seven horses listed below in their pedigrees. This answers why we have such a variety of modern ‘types’ in our breed yet the lethals – SCID, CA, LFS to name a few – consistently permeate our breed. After spending dozens of hours on Datasource, I took my stallion LC Athens, by Regal Actor JP (Encore Ali x More Pretty JP) and out of Genevieve C (Genesis C x Galizja of Rohan), and traced his pedigree all the way back to the desert. It was time consuming and tedious at times, but also so incredibly fascinating to see the recurrence of certain horses the further I went back. 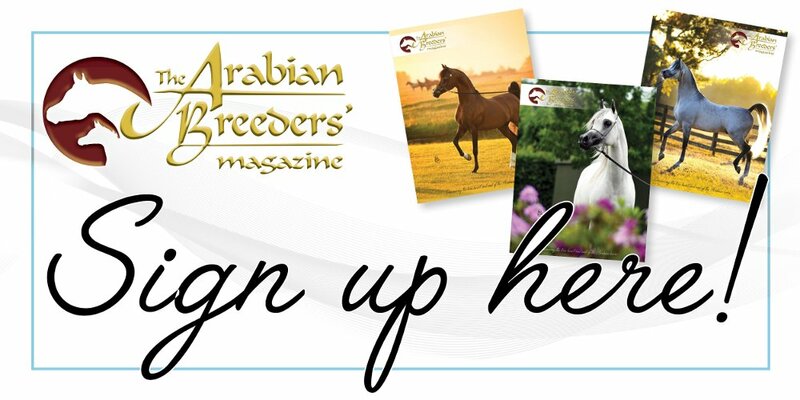 Our foundation bloodline group for Arabians horses is both very small and very interwoven. Even more fascinating was that these core horses appeared in virtually all blood line groups; Spanish, Polish, Russian, English and Egyptian. I couldn’t include every horse in this, it would have been too time consuming, so instead focused on what to me, personally, was my favourite sire-line out of Sheykh Obeyd and Crabbet Park, the same for the mare lines. Mesaoud (Aziz x Yamama III) bred by Ali Pasha Sherif and purchased by Lady Anne Blunt, Lady Wentworth’s mother. The Blunts purchased Mesaoud in protracted negotiations with the aging Ali Pasha Sherif during 1888-1889. They finally completed the purchase of him as a two-year old. In England, Mesaoud was used both as a riding horse and as a sire, with over 100 known purebred Arabian offspring recorded. 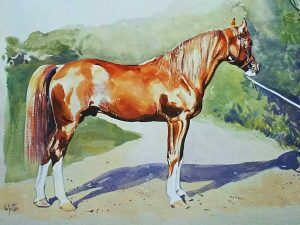 He was also shown in 1896, 1897, and 1898 at the Crystal Palace Horse Show, taking first place each time. He was, and still is, considered the most important stallion ever imported to England, along with Skowronek. LC Athens contains 457 crosses to Mesaoud, 177 through *Regal Actor JP and 280 through Genevieve C.
Rodania (desert-bred, acquired by Lady Anne in 1881 she was known as ‘the celebrated mare’ and had five foals before her death. 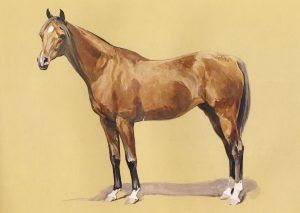 The Crabbet-bred *Rifala, dam of *Raffles, and *Rissletta, dam of Abu Farwa, became arguably the two most important Rodania line mares to come to America. In Egypt, Bint Rissla and Bint Riyala, Reyna of Spain, Rissalma, Ruanda and Ruellia in Russia, and Australia’s Rafina, all Crabbet mares of the Rodania family became an integral part of the foundation of those breeding programmes whose influence would be introduced to America with the importation of their descendants. No story of the Rodania family would be complete without mention of the illustrious Rissla, whose own influence ties together many of the international branches of the Rodania family. Rissla was the dam of two great English sires Rissalix and Irex. She is the dam of the aforementioned Rissalma, who is the dam of Russia’s Priboj. The Spanish mare Reyna and her full sister *Rifala were Rissla daughters. And the important English broodmatron Risslina was a Rissla daughter and dam to Kellogg’s *Rissletta. Rissla’s contribution of her exceptional quality, beautiful head and tremendous trotting ability remains the hallmark of her like descendants. LC Athens has 217 crosses to Rodania. Dajania was a bright bay Kehileh Dajanieh bred by a Turkoman chief who stole the dam from the Sebaa Anazeh. Dajania’s mare line would become greatly distinguished at Crabbet as producers of some of the greatest sires in the history of the breed: *Nasik, *Nureddin II, Naseem, Indian Gold, *Nizzam, Indian Magic, *Serafix, *Silver Drift, Indraff and Rapture. 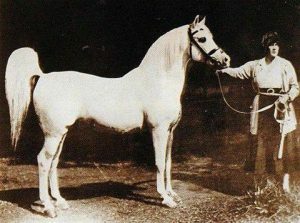 The Dajania family influence, via these sires and from the imported mares of the line, *Narda II, *Noam, *Indaia and *Incoronata, made a staggering impact on American breeding with its remarkable quality and finish, characteristic “peacock style” and electrifying presence. LC Athens has 86 crosses to Dajania. LC Athens has 211 crosses to Queen of Sheba. 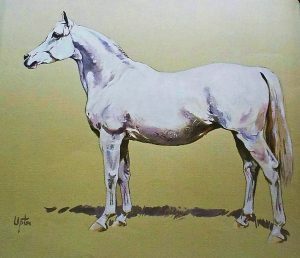 The Bint Helwa family, specifically the greys of the line, represented a distinctive type sought by the Blunts at the Ali Pasha Sherif Stud in Cairo. These were descendants of the Seglawi Jedrans Abbas Pasha, Viceroy of Egypt scoured the Arabian Peninsula to find, and spent a fortune in gold to obtain several decades earlier. They were horses of mysterious, exotic beauty, not large, with grace and lightness of movement but with a steely toughness, renowned for their courage of heart and loyalty. *Ghazala’s American-bred daughters Gulnare (dam of Gulastra) and Guemura (dam of Ghazi) were typical of the Bint Helwa family in these respects. Two other branches of the Bint Helwa family are represented in foundation American breeding in the Crabbet imports *Hamida, *Hazna and *Hilwe. 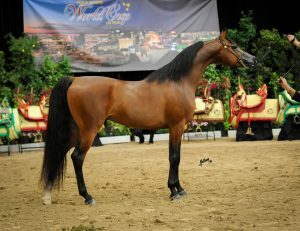 Important Bint Helwa mare line decendents in the US are 1964 US National Champion Mare High Fashion++; 1958 US National Champion Park Horse and 1959 US National Champion Stallion, Synbad++; 1959 US National Champion Mare Lallegra; 1964 US National Champion Park Horse Sparkles; and multiple-US National Top Ten Mare and the mare line behind Ryad El Jamaal, Cedardell Cameo++. LC Athens has 47 crosses to Bint Helwa. I included this mare line because it was the absolute favourite of both Garth Buchanan, at Comar Arabians, and Tish Hewitt – the Deere heiress who purchased the Roger Selby herd – at Friendship Farms. 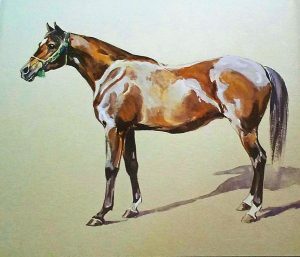 It is also the dam line behind Gajala, the *Raffles daughter out of Rageyma (*Mirage x *Kareyma by Naseem) that was the most important foundation mare at Gainey Arabians. LC Athens has 123 crosses to Jellabiet Feysul. I also found a total of 52 crosses, and a possible four more, to the great Skowronek. This may not be overly interesting to most, but the way the crosses are distributed is. LC Athens carries 13 crosses to Naseem, three crosses to Naziri – Naseem’s better brother who Lady Wentworth hid offsite when the Russians came to purchase Naseem – and two crosses to their full sister, Nasifa. Athens has 17 crosses to *Raseyn, three crosses to *Raffles and four crosses to *Raswan. The Skowronek daughters included are four crosses to *Rifala, one cross to Jalila, one cross to Naxina, two crosses to *Rossana, one to *Incoronata and one to *Crabbet Sura. Athens also has four crosses to the Duke of Veragua mares, one to Veracruz, one to Veranda and two to Verana, who is the damline behind *Estopa and *Escape Ibn Navarrone-D. Please feel free to comment on this piece. To order a copy of The Arab Horse by Peter Upton, please visit our online shop.